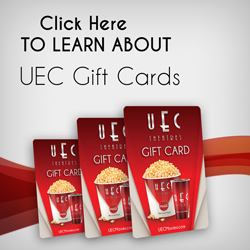 United Entertainment plans on continued growth in markets throughout the United States. Coca-Cola, Vistar, National CineMedia (NCM), Fathom Events...a full list of our vendors. 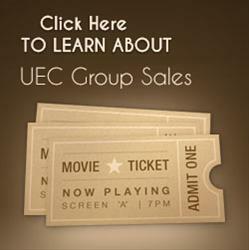 UEC Theatres has partnered with National CineMedia (NCM Networks) for its on-screen and lobby advertising. Coca-Cola Fountain, Frozen Beverages, Eisenberg Hot Dogs, White Castle...a full list of our vendors. 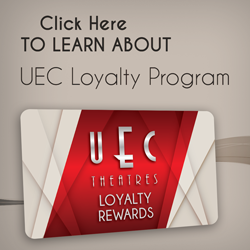 Read the most recent UEC Theatres news articles. Contact our corporate office. We encourage you to give feedback.